Something about those 98 words perked my ears up, especially the last two sentences. Those words rolled around in my head for months, though their impact wouldn’t be felt until even later, when I began to see how prevalent featured snippets had become. 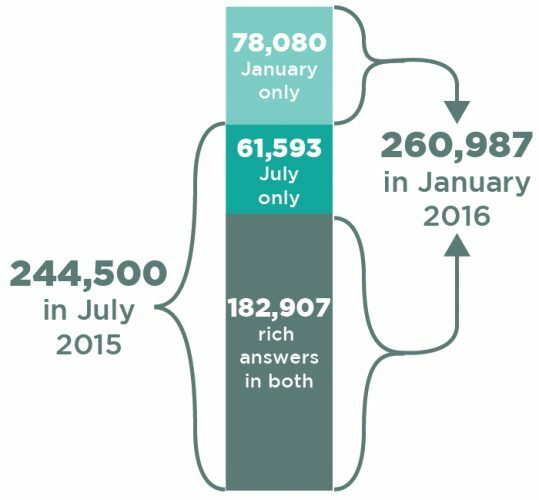 More than a year later, I’m now more convinced than ever that most brands should be making the attainment of featured snippets a priority. Try as they might, most sites don’t stand a chance of making it to the No.1 position in the SERPs. And today, with so much priority given to ads at the top of the page, above the organic results — not to mention the fact that most people don’t recognize ads from organic results — even those who do reach the coveted position have to feel as though they’ve secured a pyrrhic victory. And in the span, a number of teams and individuals have made it their charge to better decipher featured snippets, specifically regarding what seems to influence their presence for certain queries, what types of snippets there are, how to optimize your content to make it more likely that you receive one, and what Google is likely looking for when a snippet is ultimately featured. But not a whole lot has been written on how to keep featured snippets once your brand has one. 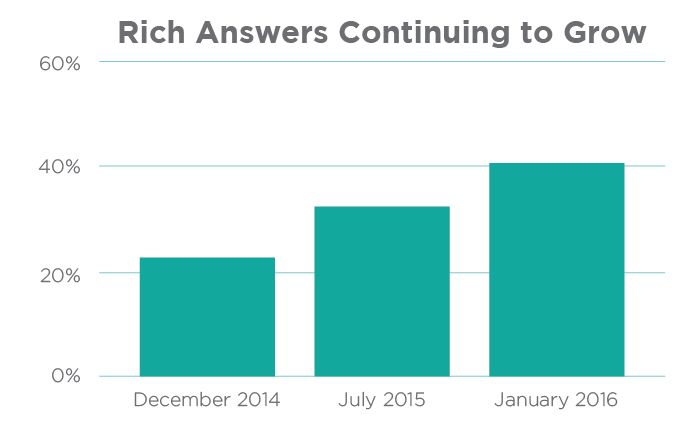 This fact hit me like a ton of bricks during MozCon 2016, when I listened to Rob Bucci of GetStat during his presentation Taking the Top Spot: How to Earn More Featured Snippets. This post, which is a wellspring of some comments Bucci shared near the end of his presentation, will be focused very narrowly on how to keep a Featured Snippet once your brand has been fortunate enough to receive one. Before we dive into that aspect, let’s briefly go over a few specifics, surrounding the nuts and bolts of featured snippets. What are they and where do they come from? A featured snippet is the summation of an answer for a web searcher’s query, typically taken from a website and includes a link to the site, the page title and the URL, according to GetStat. Why should you care? You shouldn’t, unless you care about being the top result on the page (snark for the win). Also, since the result can come from any brand on the first page, you have the potential to occupy two positions on page 1.
Who needs them? Any brand that desires organic reach, visibility, traffic and, yeah, uhm, conversions. When do they show up? 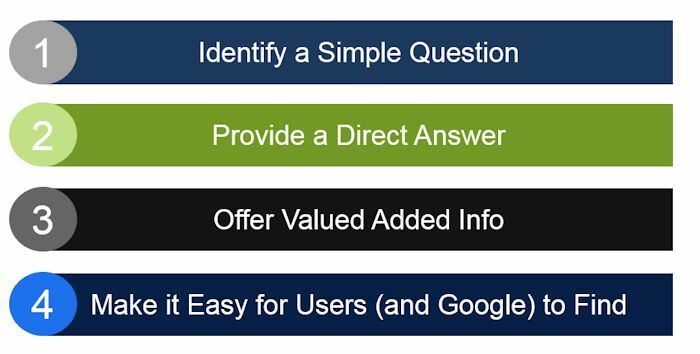 Any time a query is best answered in list, table, or graph form. For your brand or any other, however, (a) featured snippets provide you with an easy opportunity to better compete against the competition, (b) can amount to a low-investment/high-reward opportunity, and (c) can give you a leg up on the competition. One of the main reasons to attend conferences such as MozCon in person is the potential to hear a nugget of wisdom that would be missed in a recap blog, not properly conveyed in a tweet by an attendee, or glossed over when listening to the video after the event. 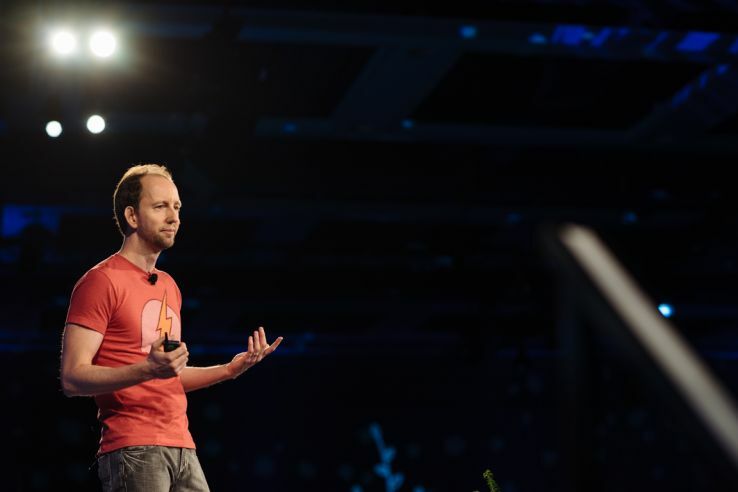 For example, Dr. Pete’s quote from MozCon 2015 rang clear as a bell when I heard it while sitting in the audience, but I’m not sure I would have noticed it so readily had I simply watched the videos. Bucci did far more than answer the question before him, however. One of the biggest concerns brands have with regard to investing resources in trying to get a featured snippet is it does very little for the brand if the web searcher does not click on the URL and visit the site. Otherwise, the only entity that benefits to a significant degree is Google. By applying the logic in Bucci’s quote, your brand can employ what I call next-level thinking. Instead of simply thinking “How do I get a featured snippet?”, think “How do I keep a featured snippet?” This is especially important since, as has been reported by STC, Bucci, and others, Google is likely using engagement metrics (e.g., clicks on the URL) as a factor in determining churn. As you can see from the result below, this result, drawn from the No.1 result on the page, is unlikely to warrant a click since all the needed information is right there for the taking. However, in the result below, the web searcher will have to click the URL and visit the owner of the content’s website to see the full list. The important point to delivering a result that’s churn-resistant, says Bucci, is to think strategically. Bucci made a great point, highlighting how we should pay attention to the formatting and content types — not simply the queries — that consistently show up as featured snippets. This, he says, amounts to Google telling us what they’re looking to reward. Don’t overthink it. Dive in. It’s exciting to see brands jump into the fray, beginning to think seriously about featured snippets and how the organic elements can impact their brands. Dr. Pete, who has remained a passionate advocate for brands taking a serious look at how to get and keep featured snippets, says it’s essential that brands build their attainment into their overall process, not use it as a one-off tactic. 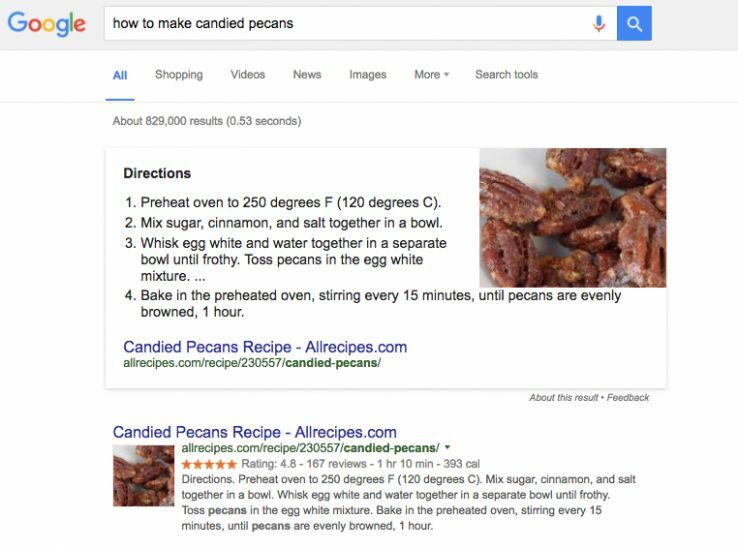 One of the best ways to get started with featured snippets is by taking a step-by-step approach so that everyone on the team knows what you’re going after, why, and its likely impact to the brand. The graphic below is as specific and as detailed as you need to be to get started. Remember, though, like all aspects of online marketing, the endeavor will be iterative. What you gain, you might lose. But the process is invaluable. Hopefully, I’ve shared at least one small tidbit of information that has you excited about adding the attainment of featured snippets to your content marketing strategy. For those of you who might be on the fence, wondering if the potential reward warrants the expense, Dr. Pete’s words should nudge you in the right direction. 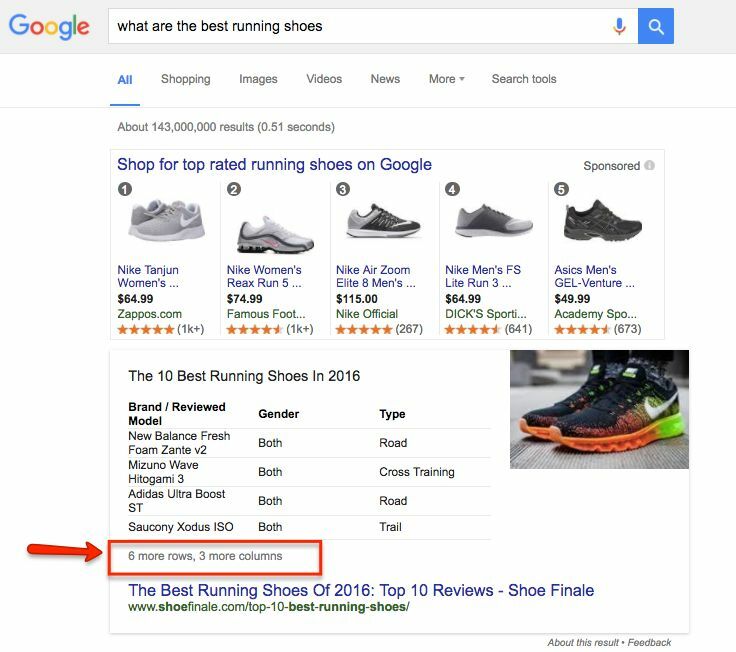 Has your brand experimented with featured snippets? If so, what’s been the result? Remember, Moz Pro will help you find and track featured snippets, as well as identify opportunities for acquiring them!